Alaïa's cardigan is spun from the label's signature knitted fabric using specialist in-house techniques. This white style is cut for close fit and has delicate mother-of-pearl buttons through the front. Layer it over the brand's bodysuit for extra coverage. 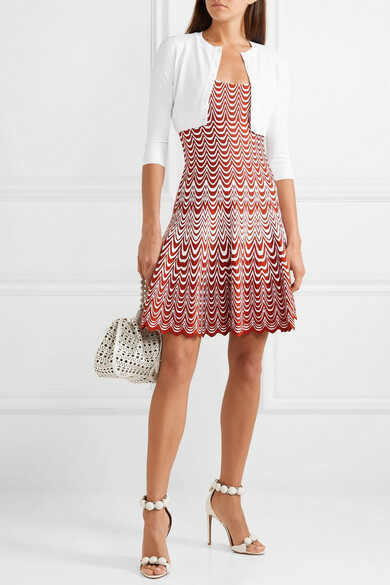 Shown here with: Alaïa Dress, Alaïa Shorts, Alaïa Tote, Alaïa Sandals.